Homeschooling parents undertake the monumental responsibility for facilitating their children’s education. Taking on the role of “teacher,” as opposed to being a “facilitator of learning,” is a potential deterrent to successful learning outcomes for parent and child, alike. The two greatest gifts a parent can bestow on their children are instilling a lifelong desire for continuous learning and helping them develop the life skill of “learning how to learn.” These two elements of practical neuroscience all but guarantee the development of young minds into responsible, successful and self sufficient adults and future leaders. This applies to all parents, regardless of whether they home school or not. 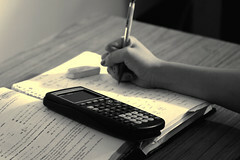 Many homeschooling parents may associate “learning how to learn” with learning styles. The practical neuroscience definition of learning styles is your child’s preferred sensory sequence to take in information and their cognitive preference to process it. It’s important that you, as a parent, and your child, both know the child’s most and least preferred ways to take in new and challenging information. For successful learning outcomes, the inflow of information must be presented in the student’s two strongest sensory pathways. Your child should pursue self-directed learning, whereby they request and select learning resources and delivery methods best suited to the way their brain is naturally wired to learn. Cognitive processing is required to solve problems, make decisions, and develop skills and competencies to navigate life. Your child’s tendencies for Sequential and Global thinking may be established from birth or may be dependent on their environment and how you influence them. By the age of 7, the preferences for cognitive processing can usually be observed. The strongest cognitive preference should be acknowledged, while allowing opportunities to use and strengthen the least favored one. This approach helps build an integrated and balanced “whole brain.” If resistance is experienced, let your child follow their natural instincts. Both Leonardo da Vinci (Global) and Isaac Newton (Sequential) have made significant contributions in the world. In summary, each child has distinct interests, gifts and styles for receiving and processing sensory information. Homeschooling parents can lighten their “teaching load” by helping their children become self-directed, lifelong learners. Parents can also role model what they teach, provide a smorgasbord of learning opportunities and assist with making learning resources available. Are you are anxious, stressed, and worried about your kids’ educational success? Does it make sense that when your kids learn with the way their brain works, instead of against the way it works, they will experience less stress and learn more, faster? 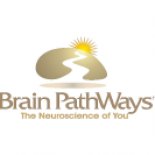 Brain PathWays for Academic Success, based on recent advances in neuroscience and personalized, accelerated learning strategies, is the most comprehensive system available for learning success (9th Grade through College). Click to purchase your copy of Brain PathWays for Academic Success today! Learning Keys is hands-on, experiential neuroscience package for 4th through 8th Graders. Click to purchase your copy of Learning Keys today! Excellent work done on this blog. I appreciate and value your kind comment, particularly in the light that you work in this field as an trusted authority on education and learning. Deanna and I are passionate about practical neuroscience for better daily living and have been working in the field for nearly 20 years. There are many other articles on our blog related to education, relationships, careers, creativity and stress mangagment and brain health. This entry was posted on July 26, 2011 by brainpathways in Education, Family, Uncategorized and tagged academic achievement, auditory, brain, brainpower, Cognition, cognitive, Education, excellence, family, global, homeschool, Isaac Newton, John Naisbitt, K through 12, kinesthetic, Learning, learning style, Learning Theories, Methods and Theories, neuroscience, Parent, sensory, sequential, strengths, Student, visual.